When I go to Hong Kong, I stay in the Langham Place Hotel in Mon Kok. I love this hotel, it is beautiful and contemporary. It is also host to an amazing art collection, which has more than 1,500 pieces of contemporary Chinese art! You can even rent an ipad and have an audio tour of the art collection, which I will have to do next time. 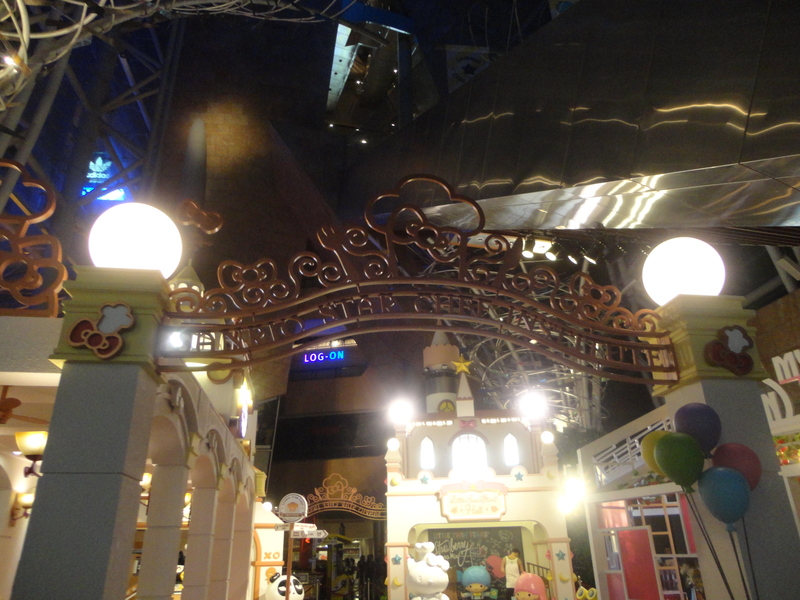 One of the things I really look forward to is the amazing displays they have in the part of the hotel that attaches to the Langham Place shopping mall. Last weekend, the display was in honor of the lunar new year, with cute stuffed rams, sheep, goats, and flowers. 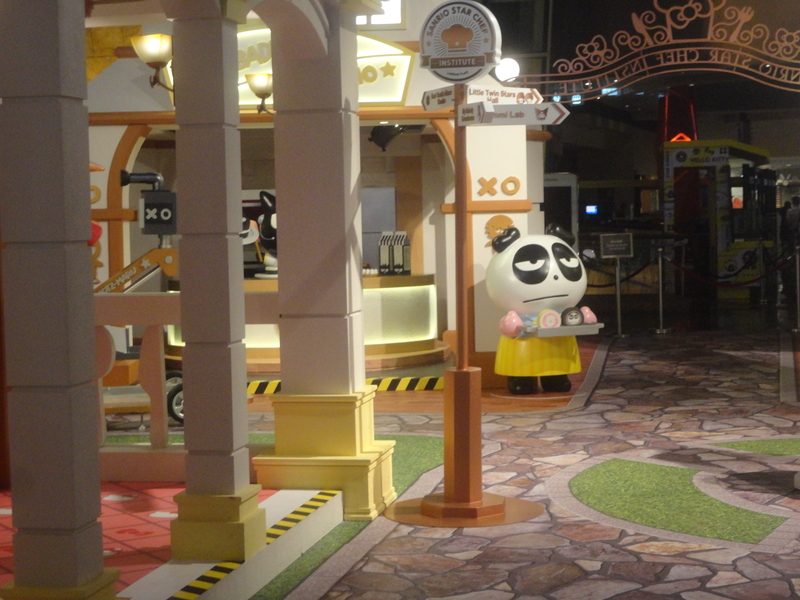 On previous visits, the displays have been Sanrio themes. 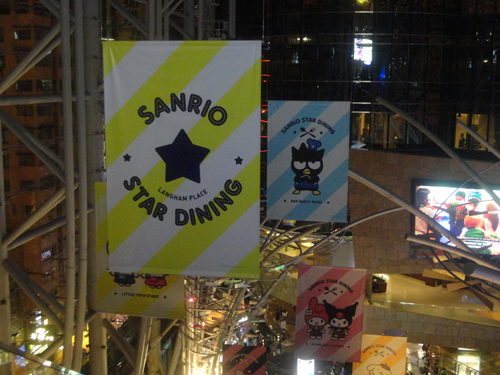 My all time favourite was a Sanrio cooking theme “the Sanrio star dining”. So adorable! 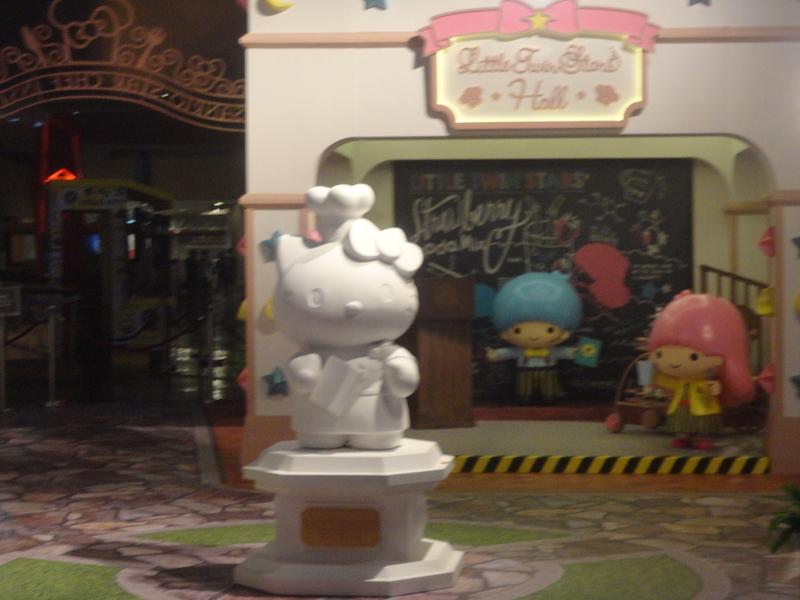 Another time I visited, famous landmarks of Hong Kong had been Hello Kitty-ified. Think Hello Kitty serving dim sum in the shape of her head, Hello Kitty at The Peak, taking the Star Ferry, and standing outside of the clock tower. 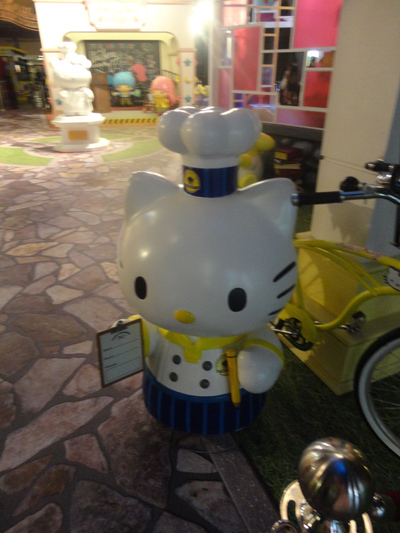 There was even a Hello Kitty flight attendant on her way to the airport. 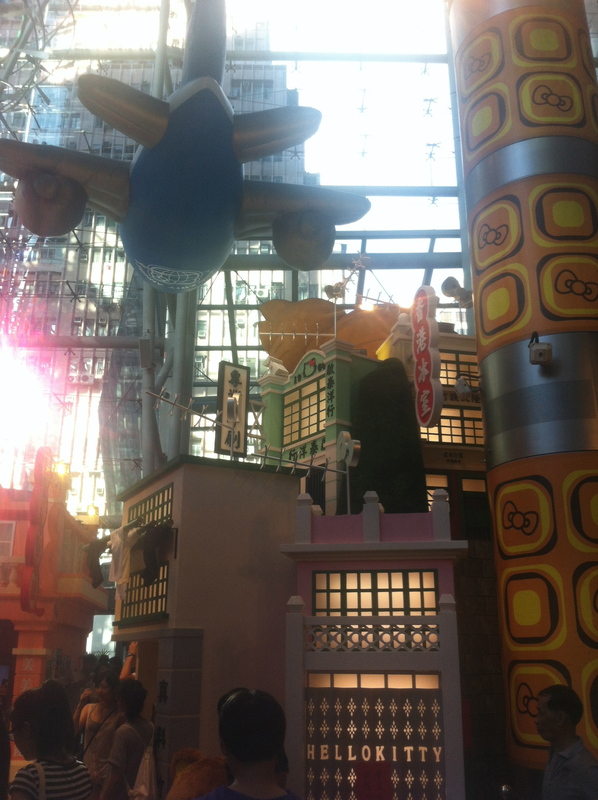 I love how in Hong Kong the malls have such amazing displays. 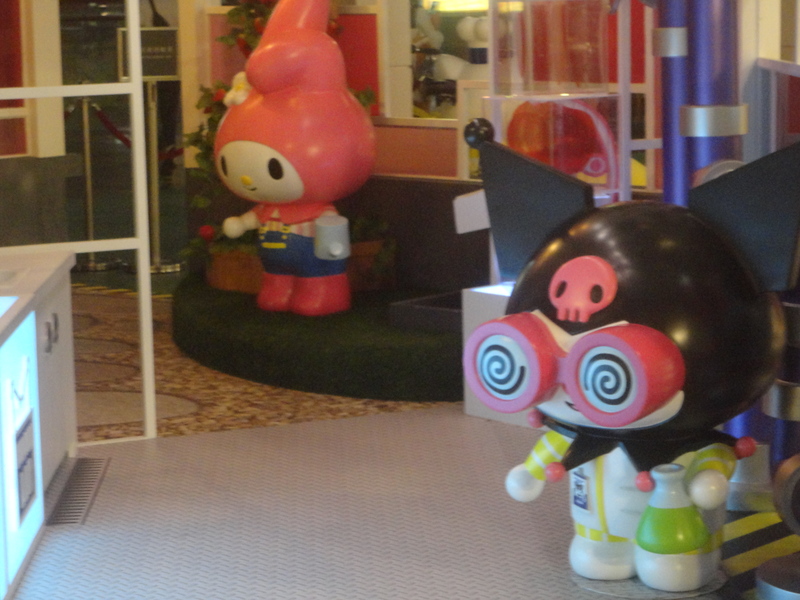 They are so colourful and unique, and they actually attract people to the malls to take pictures with them. Such a great idea. The only time I find anything comparable in the malls here is during the holidays. The displays never seem to be just for the fun of it! 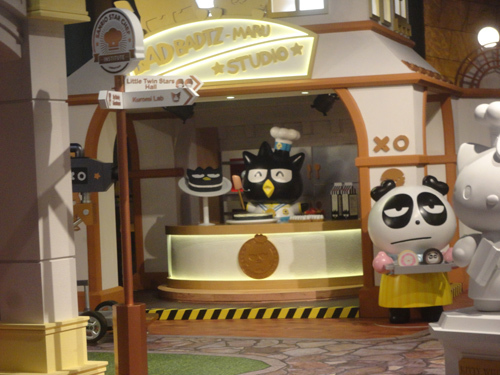 Wouldn’t you love to see something like this at your local mall? All photos taken by me, with a terrible camera that has since been replaced!